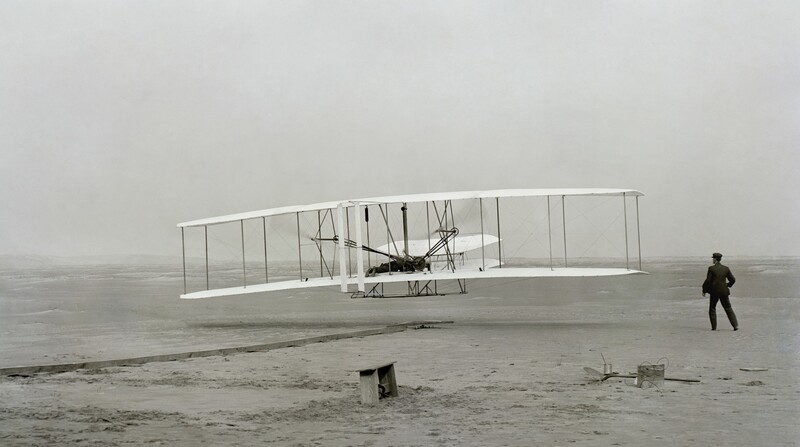 On December 17th 1903 the Wright Brothers – Wilbur (1867-1912) and Orville (1871-1948) – made the first controlled powered ‘heavier-than-air’ aeroplane flight on Kitty Hawk beach in North Carolina. 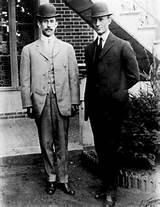 The Wright Brothers’ parents had 7 children, but the last two (who were twins) died in infancy. Wilbur and Orville were the youngest surviving boys. It is said their interest in flight came from a toy helicopter their father brought home for them. Although Wilbur was born in Indiana, the brothers lived in Dayton, Ohio. They worked in a bicycle repair shop (and had knowledge of other machines, such as printing presses), which helped them understand engineering designs. The idea of flight was growing in popularity. In the 1890s gliders were becoming more sophisticated, and basic motors were being placed on them. But when the German Otto Lilienthal – a pioneer in gliders – died in a crash in 1896 the brothers began to think about controlling aeroplanes. Another pioneer of flight – England’s Percy Pilcher – died in an accident in 1899. The brothers were sure that control was the ‘third part’ of flying needed to be successful, as wings and motors were already in use. Whilst many had experimented with gliders, the Wright Brothers’ finally made a major breakthrough by working out how to control a plane: inspired by their knowledge of bicycles they made a three-axis system that allowed a pilot to move the vehicle. By 1900 the brothers had created a controlled glider, which they experimented on. They made over 700 flights with this glider, learning not only about the machine but also how to pilot. Their next step was to find a way to power the plane. As no engine manufacturer could meet their demands they made their own. Gliders had already been equipped with engines. The brothers, however, needed a light engine in order to ensure their control system continued to work. No company could build one, and so they worked with their mechanic Charlie Taylor to build one. After many tests the design they decided upon resembled a fuel-injection system: gravity fed fuel and air to the engine with gravity, rather than with a pump. On December 17th 1903 the brothers decided to try their machine. It was a day of flight, with a total of four efforts, and the brothers took turns flying their plane. They spoke of having trouble controlling the machine at first. The first flight lasted 12 seconds and went 120 feet (piloted by Orville). After two more efforts, the final flight lasted 59 seconds and went 852 feet (piloted by Wilbur). With a first flight in the books, reporters arrived to see their next effort. It failed. This may have helped the brothers as they were able to experiment. By the end of 1904 they had a machine flying for 5 minutes. By 1908 they could do an hour and take a passenger (despite not flying in 1906 or 1907). 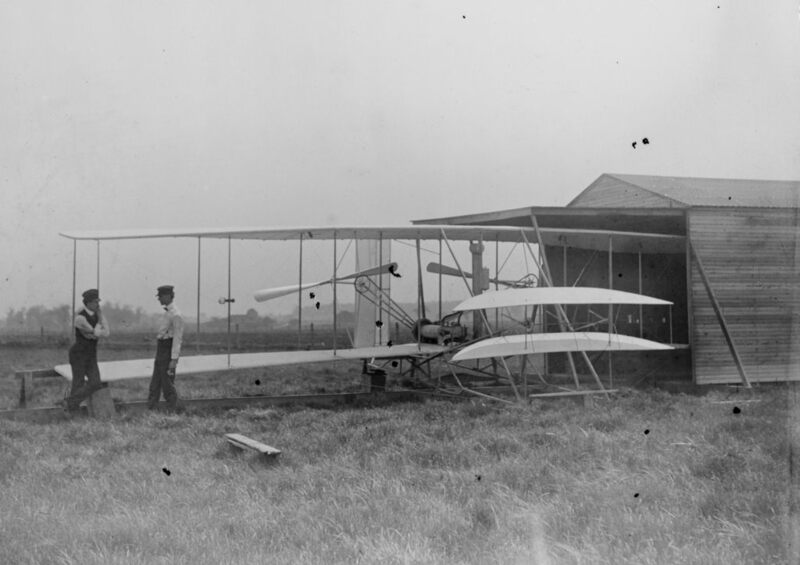 From a bicycle repair shop, the Wright Brothers became famous. However, their controls patent was debated until 1914. The brothers won, but it is suspected that their refusal to follow up stopped them building a monopoly. 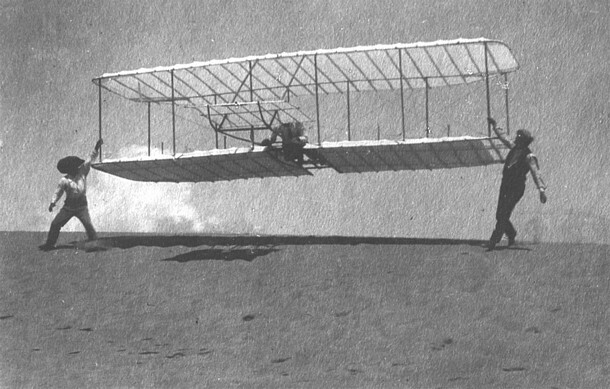 Orville is perhaps the more famous of the brothers because he undertook the first flight and was seen as being smarter. But Wilbur, the older brother, is seen by experts as the driving force. It is also believed Wilbur did all the flying until 1902 in an effort to protect his younger brother. France had hoped to have the first plane. When word came that the brothers had done it, newspapers suggested it was not true. In 1908 the Wright Brothers flew in France and got an apology. 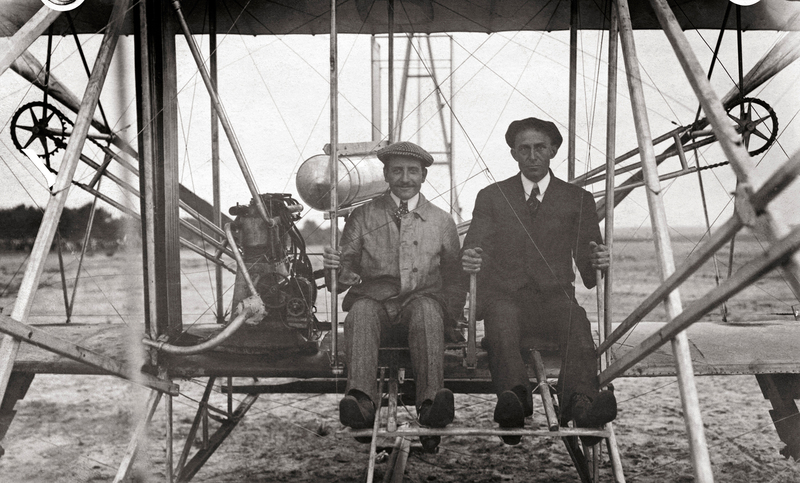 There is some argument about whether those who flew before the brothers deserve more credit: whilst the Wright Brothers made controls, the wing designs were copied and their mechanic Charlie Taylor helped build the engine but is largely forgotten.